There is a talk of GST coming soon, and we all are happy about it as it shall substitute many taxes. 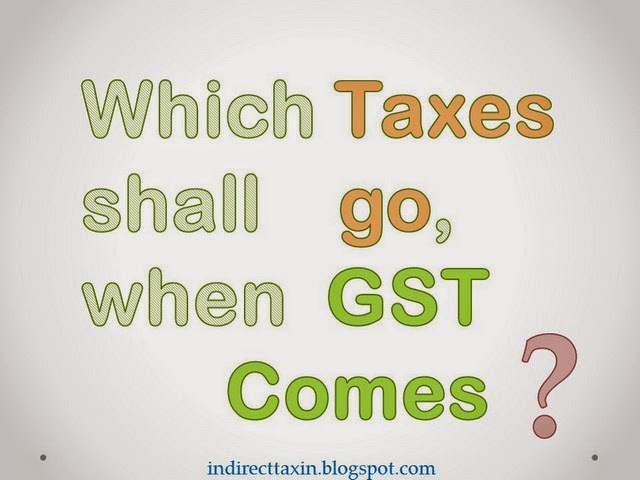 But are we aware exactly which taxes shall go when GST comes? New List of taxes as per 122nd Constitution Amendment Bill for GST. Central & State cesses and surcharges.